A report of Cebr’s World Economic League Table (WELT), an economic consultancy based in London has forecasted that India will overtake Japan to become the 3rd largest economy in the world by 2028. 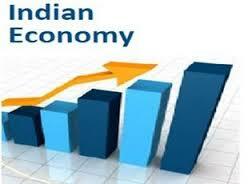 Cebr’s report says that India will follow China and United States by 2028 as the world’s 3rd largest economy. According to the 2013 Cebr WELT report, Canada replaced India in the league table in 2013 and is now in the 11th position in the largest economies in the world. The report said, but economic growth and demographics will ultimately increase the position of Indian economy up the table and as per the forecast for 2028, India will become the 3rd largest economy in the world overtaking Japan. The Cebr WELT is a yearly calculation by the consultancy. The IMF World Economic Outlook is taken as the basis for the data of 2012 and the GDP forecast draws on Cebr’s Global Prospects model to forecast exchange rates, growth and inflation. The report provides an end of year report on GDP in the world’s 30 biggest economies and forecasts nations that will be in the ‘Top 30’ after 5, 10 and 15 years. In the league table of 2013, it is said that India stands at 11th position with a GDP of $1,758 billion; by 2018 the country will probably reach 9th position with a GDP of $2,481 billion; by 2023 India will be at 4th position, with a GDP of $4,124 billion, and it will reach 3rd place by 2028 with a GDP of $6,560 billion. There are only 2 changes in the 2013 league table’s list of top 20 economies. Firstly, Russia beat recession and struck Italy to obtain 8th position and Canada beat India due to the collapse of the rupee to retake its place as the Commonwealth’s 2nd largest economy and the World’s 10th largest economy, said the report. By the year 2018, the emerging economies will be ‘on the move’, with Russia standing at the 6th position, India at 9th, Mexico at 12th, Korea at 13th and Turkey at 17th. By 2023, Brazil and India will be ‘on the march’ and will probably claim 5th and 4th places, respectively. The league table will be reordered by the year 2028. China will move up and stand at the number one position, followed by the United States at 2nd, India at 3rd, Mexico at 9th and Canada at 10th positions.